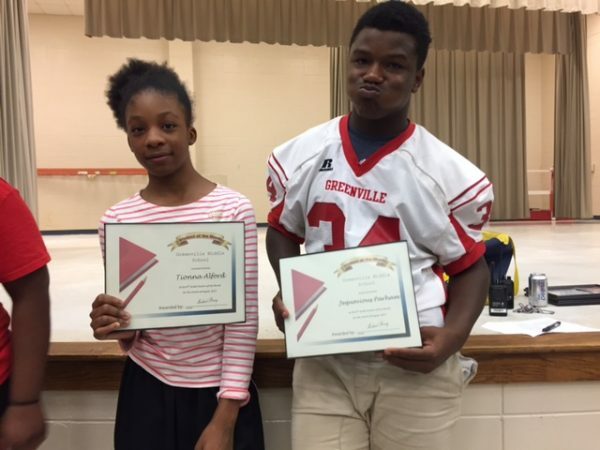 Greenville Middle School proudly honored its Students of the Month for August during a schoolwide meeting on August 30th. 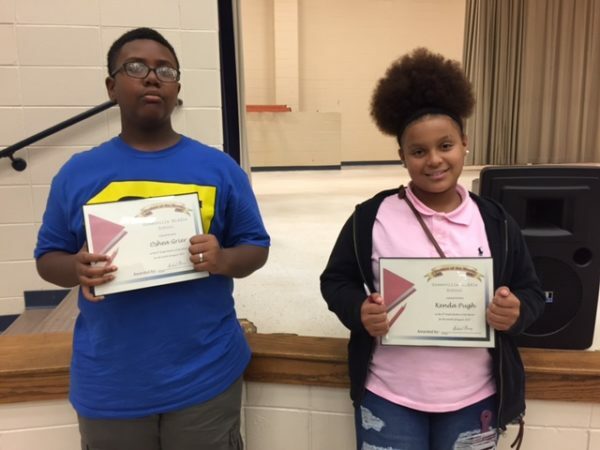 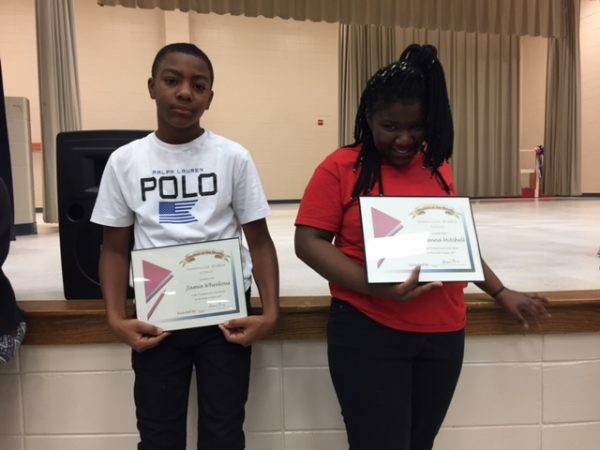 Two students from each grade level were recognized for their hard work and commitment to doing well since the start of the school year. 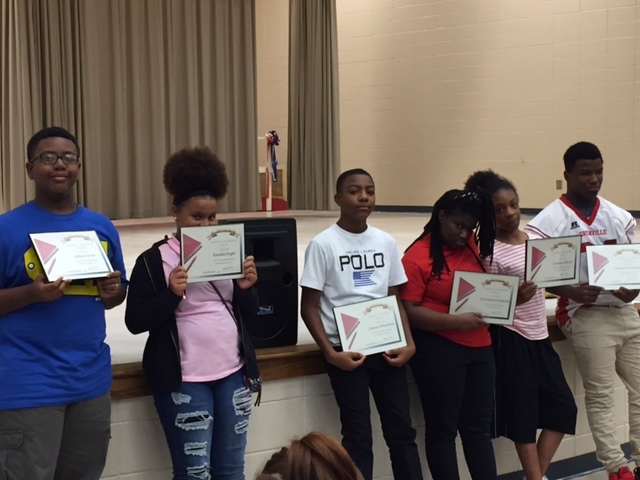 GMS Students of the Month for August are: Oshea Grier and Kenda Pugh (6th Grade), Jamie Wheelous and Kyrianna Mitchell (7th Grade), and Jequavious Parham and Tionna Alford (8th Grade).